As a business owner, I am always looking for ways to solve problems before they happen. I recently learned how a business line of credit is an excellent solution for short-term financial situations while keeping you in control. Once I knew how beneficial the flexibility of a line of credit is for a business, I could not wait to share it with others. I have put together a list of resources and valuable information on what you need to know about a line of credit. 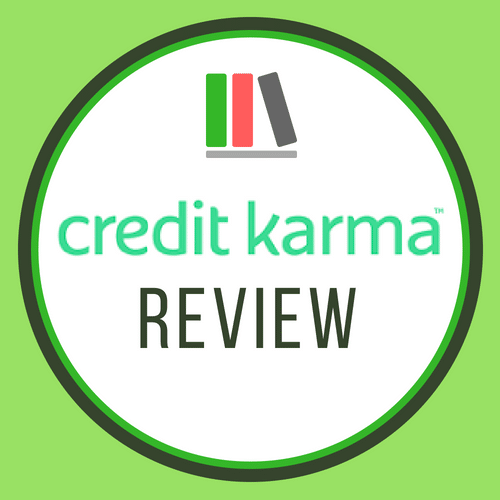 One of my favorite aspects about a business line of credit is you can go through the process and get approved, but if you don't need the money yet, you don't have to use it. And even better, you don't have to make any payments until you start using the funds. Think of it as a credit card. Once you are approved, you have the safety net of money available to you. If you don't spend any, you have nothing to pay back. If you start needing the money, you use as needed and then begin to pay it off. Instead of borrowing all the money at once you are in control of how much you use and when. A business line of credit is intended to bridge gaps in expenses, allowing you to withdraw the amount you need for tasks. For example, if approved for $100,000, but you only need $10,000 at the moment, you use the money needed and only pay interest on that portion. You can dip in as frequently as required, and repay as you are able. If a line of credit is similar to a credit card, why not just use a business credit card? I had this question during my research and realized a line of credit has many pros over business credit cards. Credit cards often have higher interest rates. And don't forget about all the additional fees if you need a cash advance or balance transfers. In some cases you are required to make monthly payments. You are more likely to get a higher loan amount with a line of credit which opens up more opportunities for your business. Often, if you are getting a merchant cash advance from a credit card, you must re-apply every single time you want additional funds. Line of credit can be accessed as often as needed without other steps once the application is approved. There are two options when pursuing a business line of credit. The first is to go to a more traditional bank. By speaking with a business banker, you can apply and set everything up to have your line of credit through that bank. Usually, repayment times are longer, and interest rates are lower. You can often get more sizeable loans at banks as well. The downside to using a big bank is the time it takes and the requirements. Banks can take weeks for the application process to be approved and start getting you the money. Credit history plays a more significant part for banks. If your credit history is new or weak, it can be challenging to be approved. The other option is online lenders. Applications are completed online and typically receive approval within 24 hours, often giving you access to money at the same time. This is great if you need emergency money fast. Online lenders are not typical banks, so they are not as concerned with credit. If you can show a history of profit and are okay with high-interest rates, this option might be for you. SMALL BUSINESS, BIG BUSINESS AND NEW BUSINESSES ALIKE CAN USE THE FOLLOWING LENDERS FOR FUNDING YOUR NEXT VENTURE. SEE WHICH LENDER MATCHES YOUR BUSINESS NEEDS, MAKE SURE YOU MATCH THEIR REQUIREMENTS AND APPLY. YOU CAN JUMP RIGHT INTO THE PROCESS BY CALLING WITH ANY (AND I MEAN ANY) QUESTION THAT COMES TO MIND. YOU NEVER KNOW, BANKS ARE LENIENT ON CERTAIN "REQUIREMENTS" . If you feel ready to pursue a business line of credit, there are a couple of aspects to keep in mind while deciding which loaner to use. More on these topics below. Pay Attention To Hidden Fee; Read the fine print. 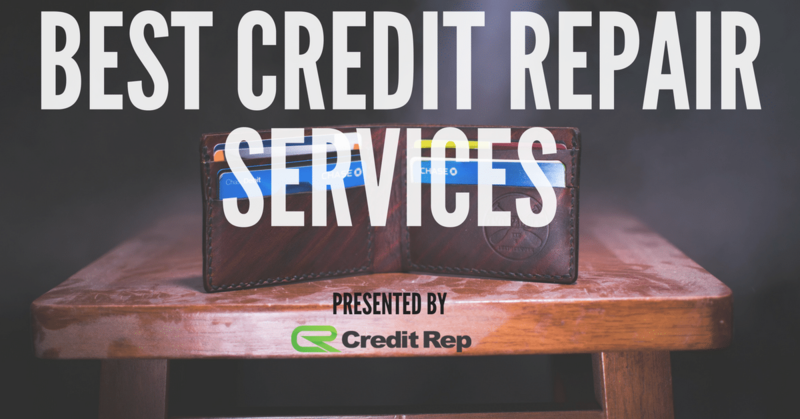 This is where to start, especially if you've never used these top credit repair companies or any service. When it comes to the business line of credit requirements, traditional lenders, like banks, usually expect evidence of strong profit and years of history before considering loaning any money. By requesting lots of paperwork, tax returns, bank statements, and such, the process can be drawn out. Those requirements are not always necessary for online options for a line of credit. Usually, a history of successful business and decent annual revenue is enough to qualify for a line of credit. It is recommended to have a credit score of 500 or higher to be approved. While the online business lenders have lower qualifications, keep in mind the interest rates may be higher and the credit limits may be lower. These are details to keep in mind when planning. Kabbage is an alternative online lender that offers a business line of credit. They don't focus on the traditional banking and accounting information and is an excellent option if your credit history is less than perfect. As long as your credit score is 500 or higher, they aren't concerned. Some other aspects Kabbage reviews are annual revenue and time in business. They want to see you have been established for a minimum of one year, and are only looking for a yearly income of $50,000. This makes them an excellent option for newer businesses. The online application is paperless and completed within ten minutes, and approval happens shortly after. The longest you will be waiting for is a few days. Kabbage prefers a shorter repayment period, offering terms of 6 or 12 months. They automatically withdraw the minimum payment from your primary account once a month, but you can make additional payments. Kabbage has a user-friendly dashboard to make payments and withdraw loan money. Or, once approved, you can request a Kabbage Card for no extra cost. Any purchases made with the card go towards the line of credit, but be warned there are transaction fees, so use wisely. While Kabbage is quick to approve and lenient on past credit, their annual percentage rates (APR) are steep. Ranging from 24% to 99%, they rank as one of the highest in the line of credit market. For any questions or assistance, they offer email and phone support. They work with PayPal for automatic transfers. Otherwise transfers to and from bank accounts only take 1-3 business days. Larger purchases that require more time to pay off are better financed elsewhere. But if you need money fast to cover a small financial gap, Kabbage is a fantastic option for you. If you need financial options fast, BlueVine can deliver. Approval with BlueVine can happen 12 hours after applying, and you can have access to funds within 24 hours. Electronic transfers or bank wire transfers are available with BlueVine. Electronic transfers are free and can take 1-3 businesses days to appear. With bank wire transfers, they are available the same day but cost $15 per transfer. BlueVine is another credit forgiving loaner. If you have poor credit and are unable to get a loan, BlueVine looks at the history and focuses on your businesses profit. Usually, 600 and higher is acceptable. They also look to see if your business has good cash flow, the strength of your customers, and generally how the company has been doing. An excellent option for new business, BlueVine only requires your business to have been in the works for six months. They request an annual revenue of $100,000. If your business is starting out, this loaner could be the best for you. Loan amounts vary from $5,000 to $250,000. With your first draw, you have the option of taking money from anywhere between $5,000 and your approved credit amount. Any additional draws can range from $500 on up to your approved credit amount. Similar to Kabbage, the acceptance of poor credit and fast access means higher annual percentage rates. Ranging from 15% to 78%, they are quite as high but definitely on the higher end. Payment on loans is usually 6 or 12 months. Repayment is set up as an automatic weekly payment, so you don't have to worry about missing any payments. Just make sure there is enough money in your account. BlueVine's online dashboard is simple to use and easy to understand. You can readily make payments or click the "get funds now" button and stay up-to-date on your finances within your line of credit. There is also a fantastic customer success team able to assist with any questions. If you decide you don't need line of credit anymore, there are no penalties or fees to stop using BlueVine as long as there are no outstanding balances. BlueVine would be recommended as a short-term solution for quick cash to assist your business when you need it. Funding is fast with Fundbox. Use the secure, online application and receive a decision as fast as three minutes. Once approved, use the website to draw funds that arrive by the next business day as long as you request before noon PST. A minimum of $25,000 annual revenue and six months as a business is all you need to qualify for Fundbox. And they don't require a credit check, so it is an excellent option for companies with new or poor credit. Fundbox provides low loan amounts from $5,000 to $100,000. This can be great for small businesses looking for quick cash but does limit you from larger projects and needs. Anything over $100,000 and you should look at another finance provider. One positive aspect of Fundbox is that it offers a reasonable APR of 15% to 59%. This gives it some advantage over other online loaners that offer fast access but high ARPs. Fundbox tries to be accessible to all business types and supports accounting software FreshBooks, PayPal, Quickbooks, Xero, and more. You can use a bank account for direct access. Repayments are set up between 12 weeks or 24-week terms. Weekly payments automatically are withdrawn from your bank account, so you don't have to keep track. A portion of the loan gets paid as well as a flat fee. If you do decide to pay off early, all remaining fees get waived. OnDeck accepts applicants with low credit scores. 600 is the minimum required, so if you are starting out with new credit or have a history of bad credit, OnDeck is open to financing you. Other requirements by OnDeck are being in business for one year with annual revenue of $150,000. This yearly revenue stipulation is higher than some of the other loaners. The application is a fast process and you'll know about approval within 1-3 days. Once you draw money, fixed weekly payments are automatically deducted from your bank account, making payments stress-free. There are no fees to draw money, and you are in charge of how much you need. However, there is a $20 monthly maintenance fee, but if you pull at least $5,000 in the first five days of opening your account, it can be waived for six months. So if you aren't planning to use the money right away, another loaner might be better. If you decide to pay it off early, there are not any penalties, but you don't save any money. However, OnDeck's APR rates are on the lower end at 11% to 60.8%. OnDeck limits the line of credit to $100,000, which might be tight for businesses with bigger projects. One aspect I appreciate about OnDeck is their resource page. Their website offers essential information for small business, anywhere from financial information to operation tips. StreetShares offers an application that takes less than ten minutes. You are able to call and have someone walk you through the processes. Approval happens within a couple of business days. There are no application fees and no penalties for prepayment once you are approved and using the money. Credit is not a primary factor in deciding approval. StreetShares pays close attention to steady cash flow. They only require an annual revenue of $25,000 and being in business for one year. This makes them an excellent option for new companies. If you are a returning member to StreetShares, your credit limit can be $250,000. New members are eligible for $100,000. And be warned, you can only qualify for 20% of your annual revenue. So if you are not making much that limits the amount you can borrow. Weekly payments automatically deducted from your bank account. However, StreetShares offers some of the most extended loan terms aside from traditional banks. These range from 3 months to 36 months, giving you ample time to make payments. One area that spoke to me about StreetShares was their willingness to help veterans. The CEO is a veteran himself, and they go above and beyond to assist other veterans in financing small businesses. There is also a great community section on StreetShares website. Once you are a member, you have access to small business deals and valuable information. Being a traditional bank, Wells Fargo is slow to approve and slow to release funds. If you need money fast, you are limited by how quick Wells Fargo decides to processes your application. You have the option of applying online, or you would go to a branch location and talk directly with a business banker. As stated before, credit does play a more substantial part in the application process. There is a lot of information they require to gather and the whole processes can take a couple of weeks. Wells Fargo charges an annual fee, which is not seen with alternative online lenders. But the APR rate is the lowest. Even with the annual fee, Wells Fargo is one of the cheaper options when it comes to repaying your loans. On the positive side, Wells Fargo offers a more extended period to repay what you owe. On a monthly schedule, you can have anywhere from one to five years to complete repayments. Because they are a traditional bank, Wells Fargo gives you the ability to pay any company or individual from your business account. And, you have accesses to a business Mastercard and rewards program. Application for a business line of credit with Chase can only be completed at a branch location. You must have a Chase business checking account to get a Chase business line of credit. Chase has one of the most considerable loan amounts, ranging from $10,000 to $500,000. If you have a large project or require a significant amount of money, Chase is an excellent option for you. Because you have access to so much money, it can be challenging to get approved for a Chase business line of credit. They look for credit scores of 680 or higher. Chase looks at your assets in case you default on loans. And there is more information required for review that non-bank loaners. Monthly payments are made on an initial 12 to 24-month loan term. You can renew after and continue payments with more time. Ultimately, Chase has excellent APR and length of time to repay. They are a great option for higher loans, as long as you can get approval. When considering repayment terms, there are two categories to consider. The first is the amount of time you are required to repay the amount of money you use. Some programs are set up to have loans repaid within weeks while others offer six or twelve-month options. Keep the repayment period in mind when you are deciding how much money to draw as well. Higher amounts may take longer to pay back, so be aware of where your business is and be prepared to make payments on time. The other area to look at is how often you are required to make payments. Most loaners have automatic withdraws set up to take from your primary account. While this can make things convenient, you need to make sure you have the money available. The automatic payments can happen at different times as well. Some companies require weekly payments while others are all right with monthly payments. If your business needs the flexibility of a monthly option, keep this in mind when reviewing loaners. When reviewing the type of loan you want, you will need to know if the loan is secured or unsecured. If you go for an unsecured business line of credit, there is no collateral associated. Assets are not taken into account and should you default; the lender is not able to seize your possessions. An unsecured business line of credit can mean you will have higher interest rates, so the loaning company does not lose out if you don't pay right away. A secured line of credit holds you responsible by allowing the lender to seize assets if you do not pay. Small businesses can benefit from a business line of credit. If you are starting out or looking to grow in a new area, a line of credit lets you finance your future. Quite a few options offer online prequalification. From there, a quick application can mean funding as soon as one business day. Depending on your need, a simple form with a quick turn around can be necessary. If you are looking to use a traditional bank, the application processes are usually done in person and can take anywhere from a couple of days to a few weeks. If you have don’t have time to wait, this option isn’t one to consider. How soon can you receive your funding? In some situations, a business day is all it takes. This allows for a faster turnaround time that fits the needs of your business. However, the type of transfer can affect how soon you receive your money. Make sure the lender participates with your accounting service, or understand the time limits if using a bank account. Some lenders pay close attention to credit scores, while others are more concerned with profit. See what matters most and what requirements are necessary for a loan before applying. If you have low credit or haven't been in business long enough for a traditional bank to approve you, then consider a more forgiving, profit-based online option that caters to young companies. Many online lenders offer pre-approval to see the likelihood of your success. Depending on where you get the loan from, there could be additional costs. Most applications are free, but once approved there can be hidden fees. Take into consideration annual fees, and charges that accompany repayment of the loans. Listed Above are resources that I have gathered. These are options of places to go for a business line of credit. I have reviewed them so you can decide which loaner would be the best choice for your business. That is the latest I have on a business line of credit. Did you find some useful information for your business? I enjoy supporting small businesses and want to help others have continued success. I am hoping some of the knowledge I shared will be able to assist you.